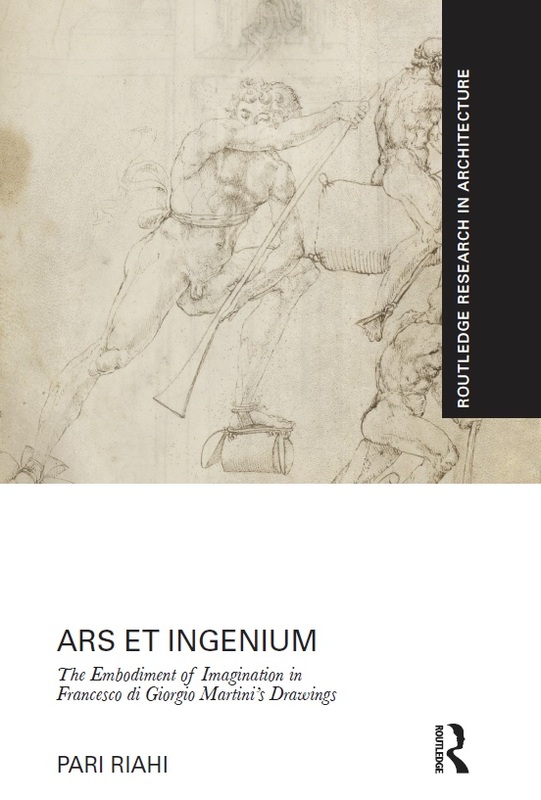 A new book by Pari Riahi (Critic, Interior Architecture), titled: Ars et Ingenium: the Embodiment of Imagination in Francesco di Giorgio Martini’s Drawings,” was published by Routledge in January 2015. The book investigates a pivotal moment in the establishment of architectural drawings as the primary vehicle of thinking and making through the works of a prolific Renaissance architect, painter and sculptor, Francesco di Giorgio Martini. Examining Francesco’s treatises on architecture, as well as his numerous drawings, the work expands on his seminal effort to develop and propagate drawings in architecture.